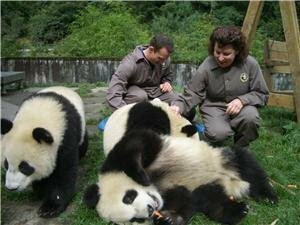 Do you want to know how giant pandas grow up, and their characteristics at different life stages? 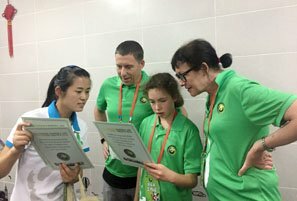 Read on to learn more about Giant Panda&apos;s life cycle. Giant pandas are born tiny (about 100g or 4 ounces), blind, white and helpless. The mother cradles her tiny cub in a paw and doesn&apos;t leave the den for several days after giving birth, even to drink. Cubs soon develop soft gray fur, which becomes coarser and develops its black and white pattern in a month. The new born panda doesn&apos;t move from the den in the first two months. After three months baby pandas begin to crawl. Learn more on Baby Pandas — Their Growing Process. Cubs start to eat bamboo around six months and are fully weaned at nine months. Cubs easily die in the wild because they are so small and defenseless. The mother has to leave them alone in the den to eat for four hours a day. Giant pandas weigh about 45 kg (100 lb) at one year. 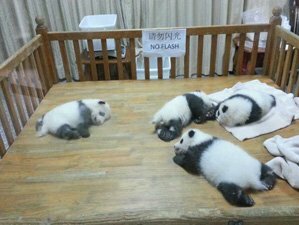 Panda cubs grow quickly. They stay with their mother for one and a half to two years. When cubs leave their mother depends on if she conceives. They are fully grown in four years (up to 150 kg or 330 lb). 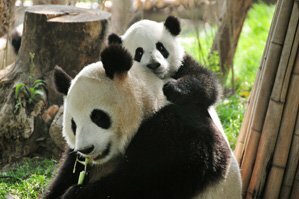 Giant pandas are fully mature and able to breed at four to six years old (females at four, males at six), while captive giant pandas mature two to three years earlier. Young male pandas have a lower priority in the wild, and barely have any opportunity to mate until 7 or 8 years old. 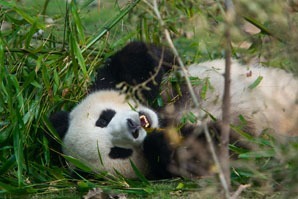 Female giant pandas are only fertile once for two to three days a year, sometime in the spring (March to May). They leave their partners after mating and rear their cubs alone. Female pandas normally bear one cub every 2 or 3 years from 4 to 18 years old. 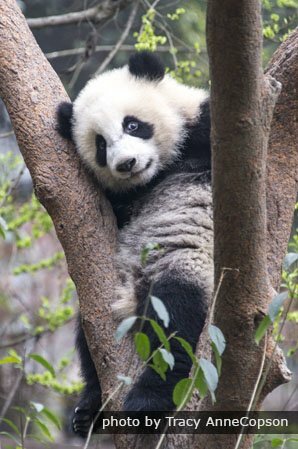 Giant panda gestation is 3 to 5 months, and cubs are usually born in late summer (August mostly) in hidden hollow trees or natural dens, where branches, dry grass, etc. are made into a kind of nest. Normally giant pandas give birth to a single cub. Even if a female has two cubs, she would normally choose to take care of one and abandon the other. Giant pandas can live up to 30 years in captivity. Wild pandas live up to 20 years in the wild. With medical and nutritional help in captivity, pandas can live more than 30 years. The oldest recorded panda was Jiajia in Hong Kong&apos;s Ocean Park. She died at 38 in 2016. 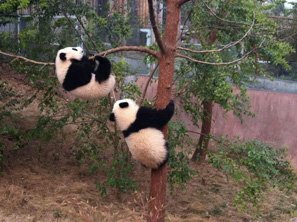 Panda cubs look very cute when climbing trees. In the wild the cub-bearing period for female giant pandas lasts for around 10 years. Therefore, a female panda is able to bear four to six cubs in her life at most. Due to the low birth rate and vulnerability of cubs, it is little wonder that pandas are on the verge of extinction. A wild panda raises around five cubs in a lifetime, of which perhaps half die before reaching maturity, making the rate of pandas reaching adulthood just above the two needed to sustain the population. 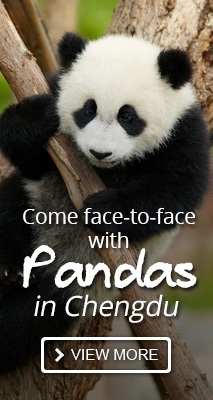 1-Day Panda Wonderland Tour from Chengdu: You can meet the cuddly pandas in a Panda Breeding and Research Center. 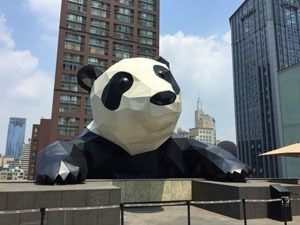 How China Protects Giant Pandas — Pandas Now NOT Endangered!